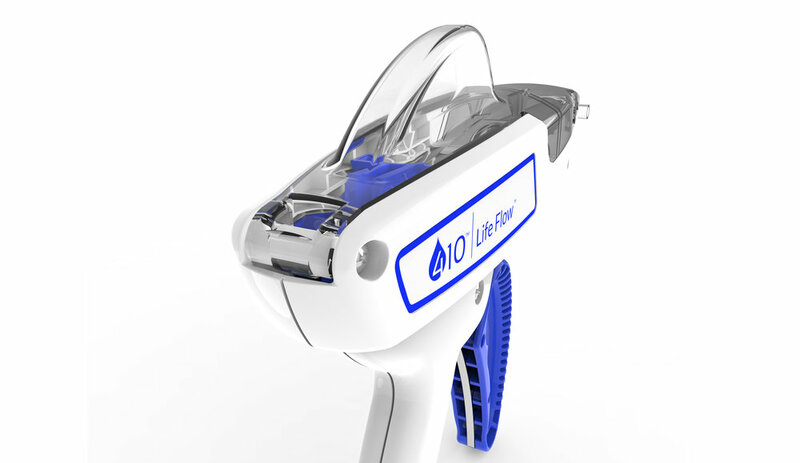 The collaboration of 410 Medical's healthcare expertise and Trig's pragmatic design approach culminated in the IDEA recognized LifeFlow Rapid Infuser. 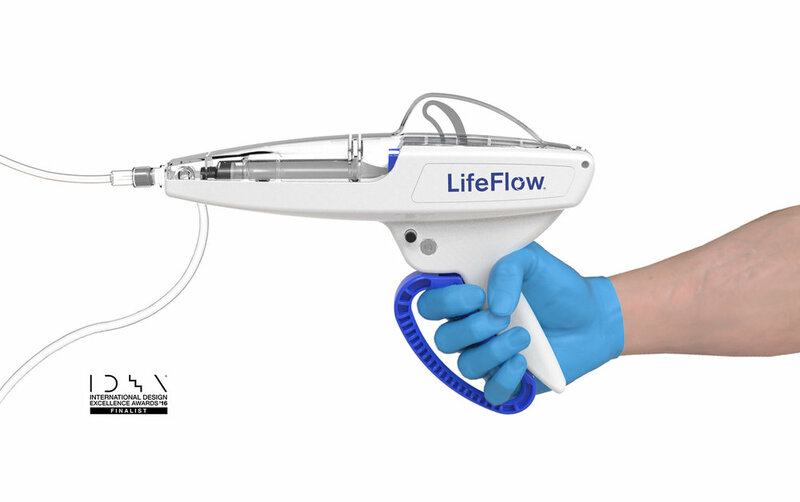 The LifeFlow provides rapid, intuitive, and controlled fluid delivery unlike any device in the industry, through its simple and precise one handed operation. The innovative design simplifies a three-handed fluid administration procedure, typically executed by two people, to a single-handed exercise, which can be performed by one healthcare professional. With the ability to deliver 500ml of fluid in less than 2.5 minutes, recovery is greatly enhanced during medical emergencies such as sepsis, anaphylaxis, dehydration, cardiac arrest, and others. The LifeFlow is quick and easy to use in any situation. When Dr. Mark Piehl of 410 Medical approached Trig with this idea, we knew it was a "game-changer." While working with the 410 Medical design team, we took a ground up approach in designing the LifeFlow. The internal function of the device required precision while the external aesthetics needed to communicate urgency and ease of use. 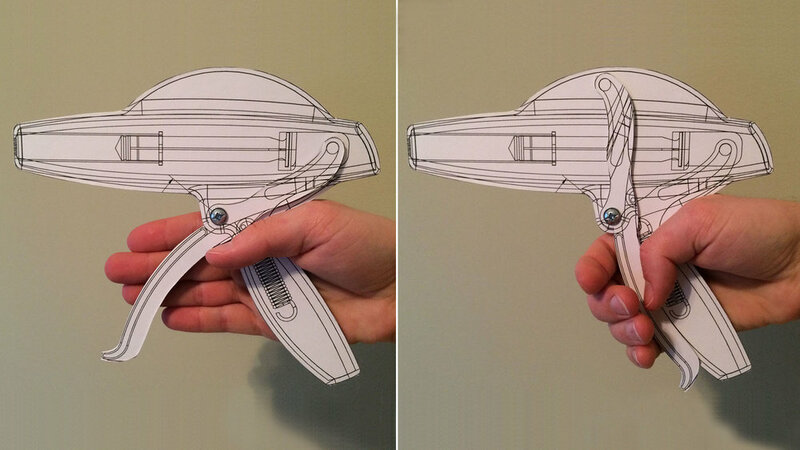 Concept development began with sketching and mock-ups to determine the ergonomics, design language, and size of the product. We continued with CAD and full scale prototype fabrication to test internal function and performance. A cam-follower mechanism was implemented to achieve fast and accurate 10ml of fluid with each pull. The caregiver can count the pulls and know exactly how much fluid has been administered. The process resulted in a simple design that is easily recognizable and understood.